At combretum we feel its important to team up with other people and organisations doing good work. Here are some of our partnerships. Thinking internationally, and with an open mind is important to us. 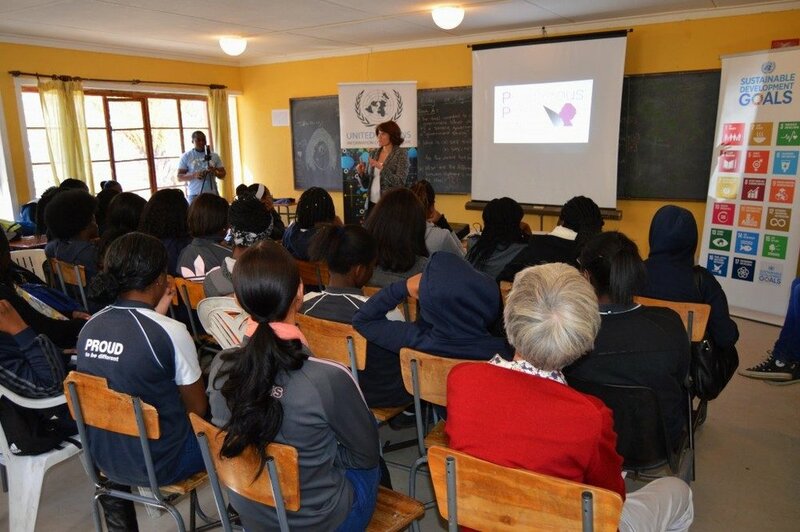 That is why Combretum teamed up with United Nations Information Centre, and was involved in the Prosperous Paths Outreach initiative which saw Combretum Students taking part in seminars about Gender Equality and the role of the Girl Child as social change agents. Physically Active Youth (PAY) is an after-school centre in Katatura which enriches the academic, social, physical and emotional education of school children of all ages. Combretum teamed up this incredible organisation and a strong partnership is in place. The picture above are some of the PAY learners who attended Combretum's November School Programme. BEN Namibia empowers people and organisations through the provision of sustainable transport and bicycle related income generation. Michael and Clarisse work for BEN bikes are as part of their work met two young Namibian girls in the North who were missing out on education. By partnering with Combretum, these intelligent girls received a world standard education and have gone on to do great things. Learn more below!